Northland is the northernmost region of New Zealand – a pristine land which boasts a vibrant and thriving Maori culture, diverse flora and fauna and picturesque locales. Also called "The Winterless North" by New Zealanders because of the region’s temperate climate, Northland boasts two exotic coastlines. The wild, wild west coast is home to the world’s largest Kauri tree, Tane Mahuta. It also lures tourists with the gorgeous Ninety-Mile Beach and Hokianga Harbour. On the other side, the east coast is home to the magnificent Bay of Islands and the largest city, Whangerai. With the world's largest sea cave, the Poor Knights Islands are listed in the top 10 dive locations in the world. With wonderful sailing, incredible fishing, dolphins, beautiful beaches and magnificent forests, Northland could easily be called Wonderland. 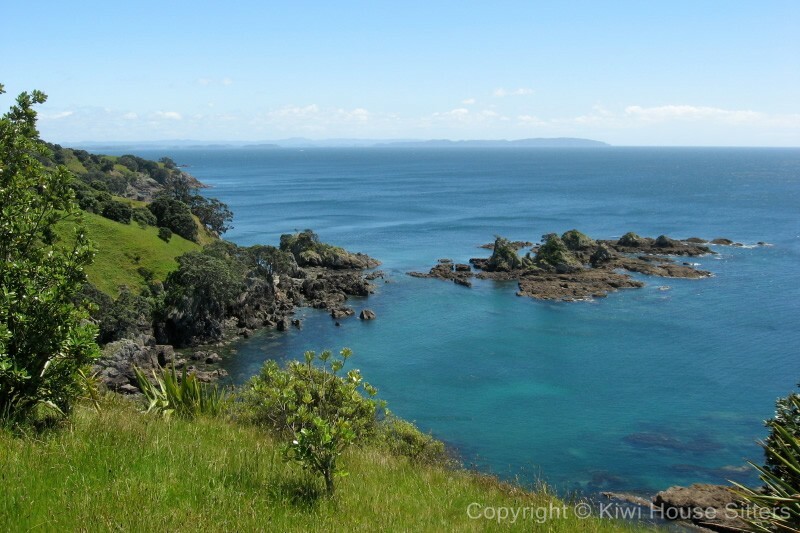 Yes, there are often wonderful house sitting jobs in Northland, and Kiwi House Sitters is the best way to find them. We have been market leaders for a long time and provide a safe and practical service with friendly support. Discover lovely pet, dog and house sitters in Northland willing to look after your house, pets and garden FOR FREE . House sitting has become increasingly popular in Northland, with Whangarei city being the most popular destination. But you never know your luck, house minding opportunities come up right around Northland so it's always worth seeing what's around. Cape Reinga is a popular tourist attraction in Northland. The Cape got its name from the Maori word for the ‘Underworld’, as Maoris believe it to be the access point of their spiritual netherworld. 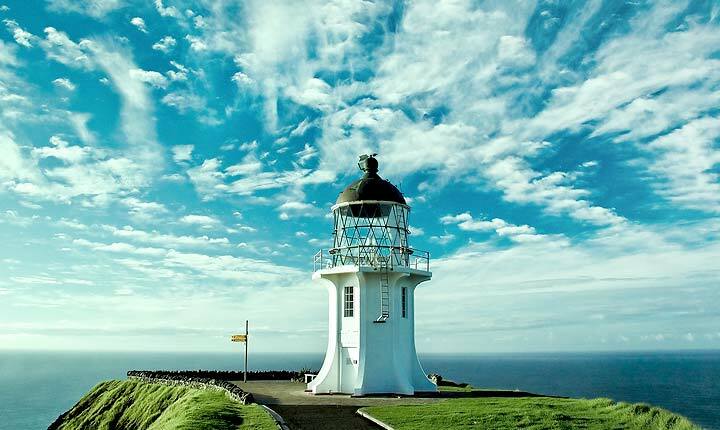 Every year, over 100,000 tourists visit Cape Reinga to witness the spellbinding meeting point of the Tasman Sea and Pacific Ocean. Divers and surfers are enraptured by the beauty of the Poor Knights Islands, a renowned marine reserve located 25 km from the Northland coast. The islands boast the world’s largest sea cave, Riko Riko, all 221,494 cubic metres of it. There aren't many other places in the world that can match the flamboyance and awe-inspiring natural beauty of this gargantuan sea cave. One of the most popular destinations for water sports is the Waitapu River, around Whangaroa Harbor. Whangaroa itself is a port town, with its own attractions. It is sometimes dubbed the Marlin Capital of New Zealand. For people with more terrestrially focused interests, trekking and hiking on the St. Paul’s Rock is a special treat. Another popular attraction in Northland is Matauri Bay, and the remarkable Rainbow Warrior Memorial. If you would like to spend a whole day in the lap of nature, then you could also check out Tauranga Bay. If you get the opportunity, don't miss out on Mangonui. This is a beautiful old-time settlement that harks back to ancient fishing days. There’s another beach here which is famous among families, Coopers Beach. Golfing at Kauri Cliffs, board-walking in the Puketi Forest amongst enormous Kauri trees, or sand-boarding over the dunes on the 90 Mile Beach - Northland provides bountiful opportunities for fun and adventure.